Kit-WC-LVN-Advanced Skills Kit for the 2nd semester of the LVN Program. Kit-WC-LVN-Basic 1st semester skills kit for the LVN program. Required for students in the Associates Degree Nursing program. Sold in singles one per scrub top. This is also the patch for transitioning, LVN to ADN Students. Required for Sonography students. Sold in singles, one patch is needed per scrub top. 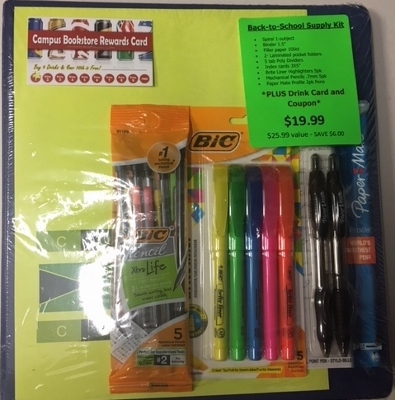 Supply kit includes the following: 1- one subject spiral, 1 binder 1.5", 2 folders, 5 tab dividers, 1 pack of index cards, 4 pack of assorted color highlighters, 5 pack of .7mm mechanical pencils, and 2 pack of black pens. Are you in the LVN Program this semester? Your patches are available here and in-store! Sold in singles, one patch is needed per scrub top. Required for Respiratory Therapy students, sold in singles. One patch is needed per scrub top.